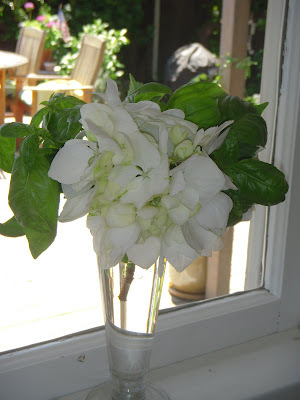 a little basil in with the hydrangia Jack picked made me smile...perfect for the kitchen window. I am also a stay-at-home working from home mom and I made the choice when my twin sons were 5, now they are 16 and it has been so rewarding to see them grow as well as my design business. I wish you a wonderful week ahead.